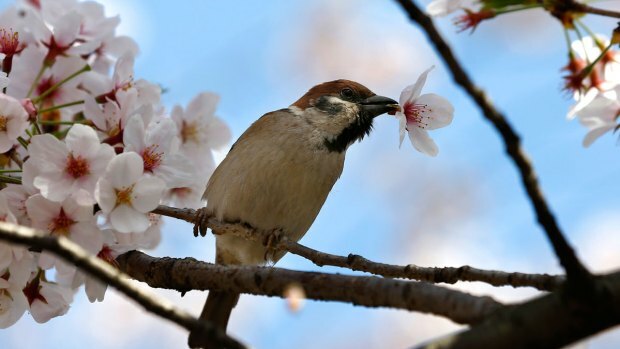 Spring-like temperatures have arrived with gusto -- and the weather is so warm that the National Park Service has bumped up its prediction for the cherry blossoms' peak bloom dates. 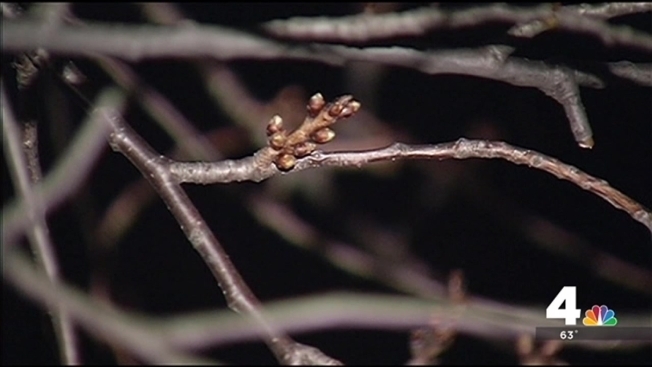 Peak bloom for D.C.'s famed cherry trees is now expected to occur between March 18 and March 23, the NPS announced Tuesday. Just a week ago, the NPS had announced peak bloom dates would be March 31 to April 3. 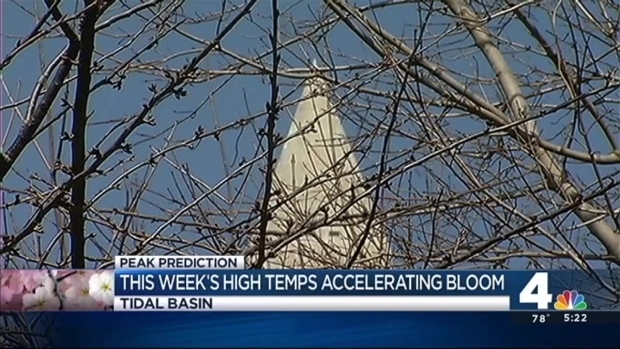 The NPS said Tuesday that it had considered March's above-average temps when making the original prediction, but "potentially record-setting temperatures, averaging nearly 20 degrees above normal for the next week, have greatly accelerated the bloom watch."